THE HSE MUST reach its savings targets, the Minister for Public Expenditure has said, despite a report suggesting that it will fall short by €200 million. The Irish Times reported yesterday that a confidential consultancy report furnished to government found that the HSE will fall short of the €290m in savings outlined in the Haddington Road agreement by almost €200m. Minister Brendan Howlin stressed that every department was involved in discussions on the savings plan and understand what work is necessary. “Like every other Department, [the HSE] are going to live up to the targets,” he told RTÉ’s The Week in Politics. The savings in cash terms are being made, have to be made, and will be made again this year. Minister Howlin emphasised Haddington Road is working, and that “savings dividends” made in other departments are already being pumped back into “frontline services”, such as recruiting more teachers and gardaí. Speaking on the same programme, Fianna Fáil spokesperson on Public Expenditure Sean Fleming said that an independent report is needed on all savings outlined in Haddington Road as some “never stacked up from the very beginning”. Howlin was reluctant to say whether the government will have more leeway with Budget 2015 as a result of continued economic recovery. An ESRI report last week suggested that €2 billion in budget cuts could be avoided, leading to other cabinet colleagues to speculate that tax cuts could be on the table. “It’s far too early to be talking about it now,” Minister Howlin said. “There is optimism now, there are people getting back to work… there is growth in the economy”. He said that might give the government “scope to look at the choices”. 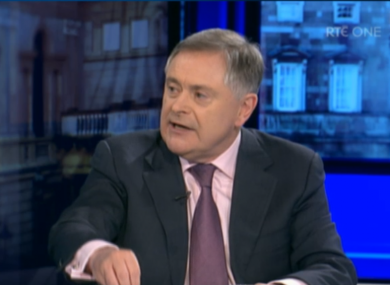 Email “Howlin: The HSE are going to live up to savings targets - they have to”. Feedback on “Howlin: The HSE are going to live up to savings targets - they have to”.